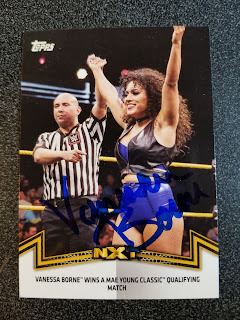 Here are some of my newest signed cards of both in person and through the mail success. 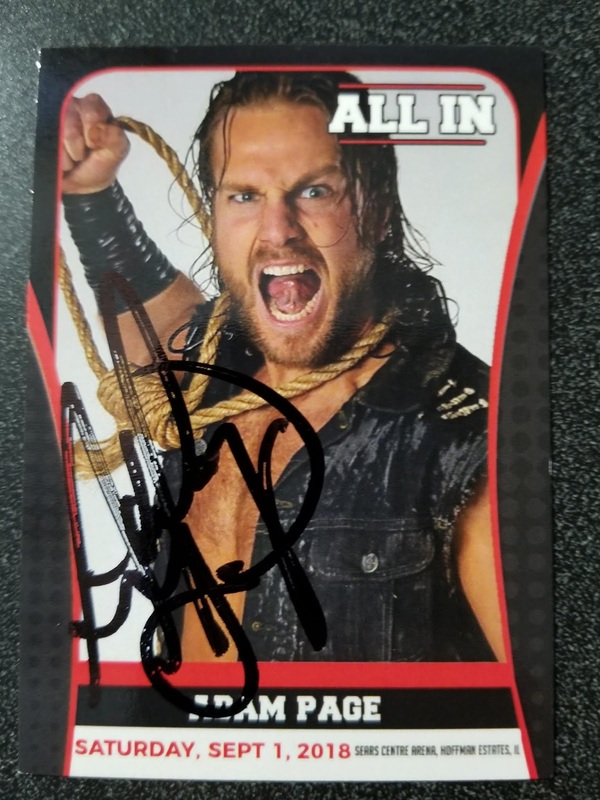 This card is from the All In set that was released through Highspots and I believe that this is Hangman's first trading card. 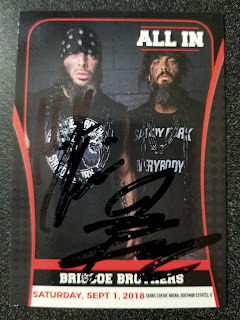 I got this signed in person at the Ring Of Honor show in Lewiston, Maine that I attended on November 7, 2018. You can read about ROH's first ever show in Maine here. 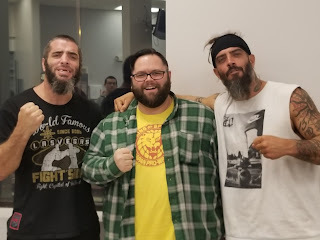 I met Mark and Jay Briscoe at the Ring Of Honor show in Lewiston, Maine that I attended on November 7, 2018. This card is also from the All In card set from Highspots. 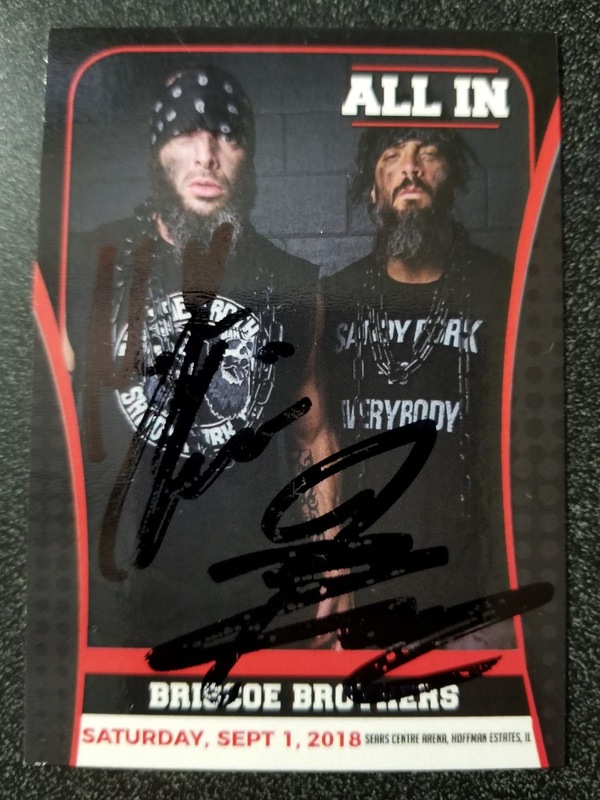 The Briscoe's have cards from the Filsinger set and IPW set. 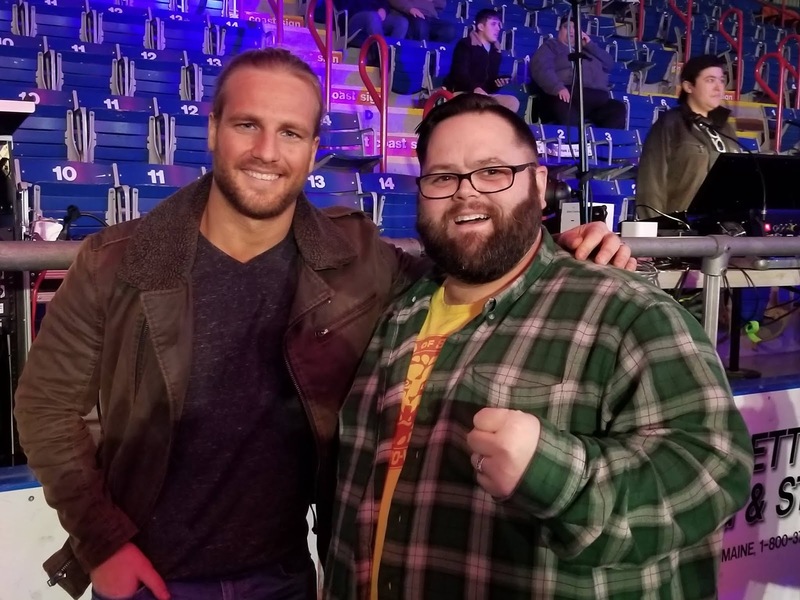 You can read about ROH's first ever show in Maine here. 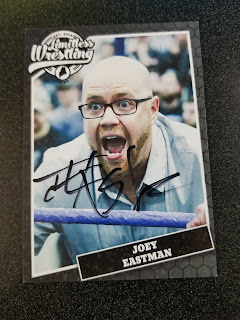 I first met Joey back at a Front Row Wrestling show in Rochester, New Hampshire back in November 2007. That night he competed in a Managers Challenge where he lost a tug of war, a swimsuit competition, and the talent portion of the event to the Vanity Vixxxen. I laughed so hard that my face and stomach hurt from it. 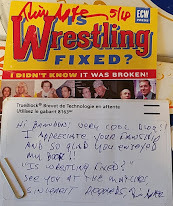 Joey is one of, if not the best wrestling Manager on the scene, he would have fit into the WWF 1980's stable of Managers with Fred Blassie, The Grand Wizard, & Captain Lou Albano. 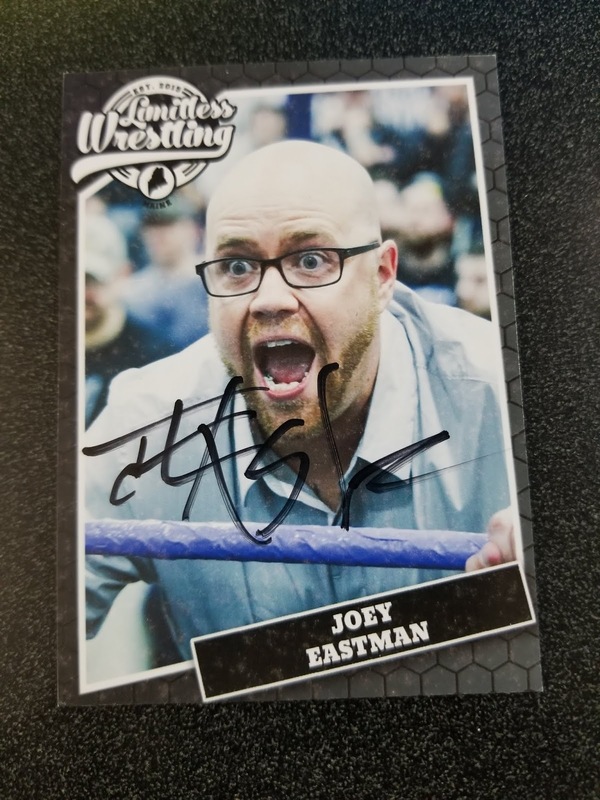 This card is from the 2018 Limitless Wrestling set. 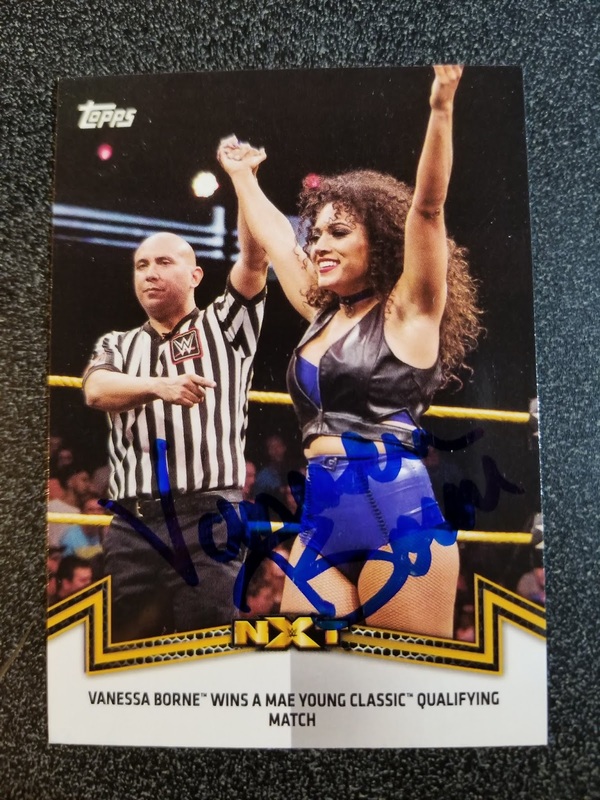 This card is from the 2018 Topps WWE set, I mailed it to the Performance Center on November 13, 2018 and got it back on January 7, 2019.